 Industrial Clutch Parts Ltd. supply a complete range of Goizper Electromagnetic Mono-Disc Clutches and Brakes. Available and stocked in the UK for quick delivery. Goizper Series 4.60, 4.61 and 4.61B are single-disc clutches. Manufactured and designed for a diverse range of applications, which include - wrapping machines, printing machines and computers. Industrial Clutch Parts Ltd. distribute a complete range of Goizper Electromagnetic Mono-Disc Brakes and Clutches. Available and stocked in the UK for fast delivery times. Goizper Electromagnetic Single-Disc Clutches are self-adjusting and the torque does not vary once the first adjustment wear is complete, offering a long life service for a diverse range of applications. Goizper Series 4.60, 4.61 & 4.61B has been designed with a static coil body that creates a magnetic field when it receives electrical current. This field attracts the armature that rubs against the rotor causing the clutching. As well as the bending spring, the armature can have a core and bearings to make it easier to fit on the shaft on which it is to be braked. Wrapping machines, printing machines and computers.